This past weekend I went to Chicago. 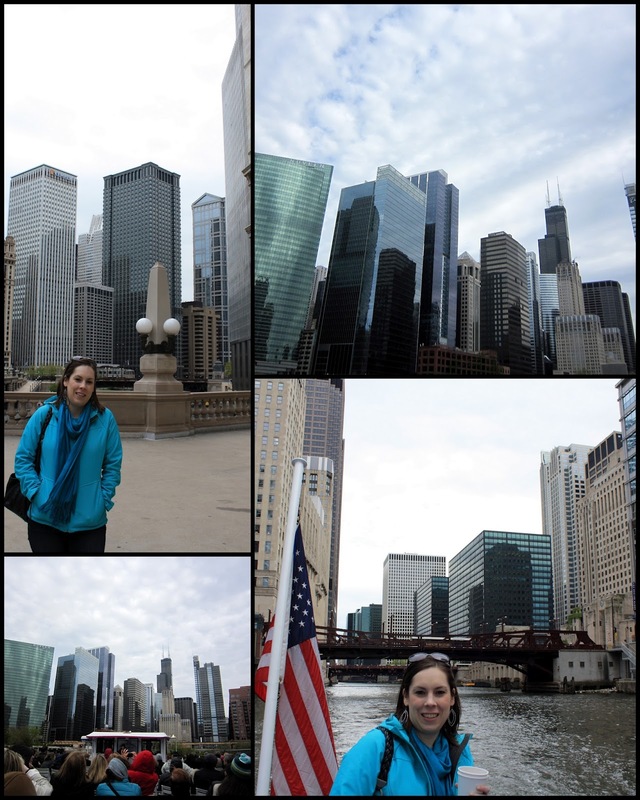 It was my first time in Chicago and I quickly learned why it is called "the windy city." The wind was crazy and the temperature was cold but that didn't stop us from having a great time. A friend from college lives in Chicago and he was a wonderful tour guide. We managed to do a lot in 3 days and I have a lot of pictures so I going to recap each day in a separate post. I arrived in Chicago on Friday just in time for lunch. Of course I had to try some famous deep dish pizza! 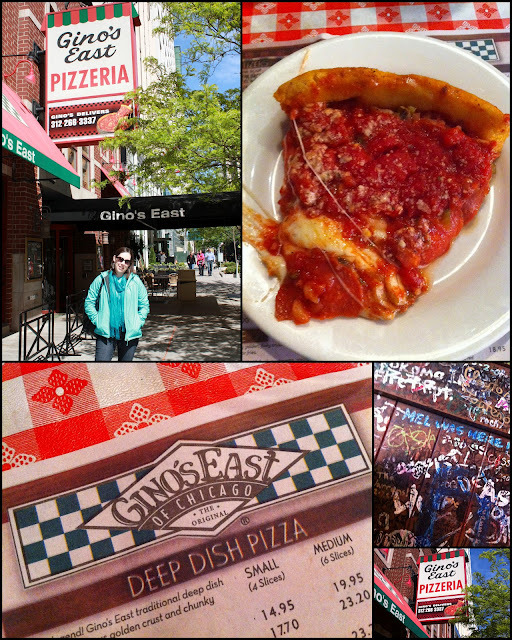 We went straight to Gino's East and waited in line with the rest of the tourists! The pizza did not disappoint. It was very good and VERY filling. I ate two pieces and was stuffed. The atmosphere in Gino's was really cool and I recommend visiting there if you ever have a chance. I'm glad I had the chance to try some "original" deep dish pizza and I did enjoy it but I still prefer "regular" pizza! 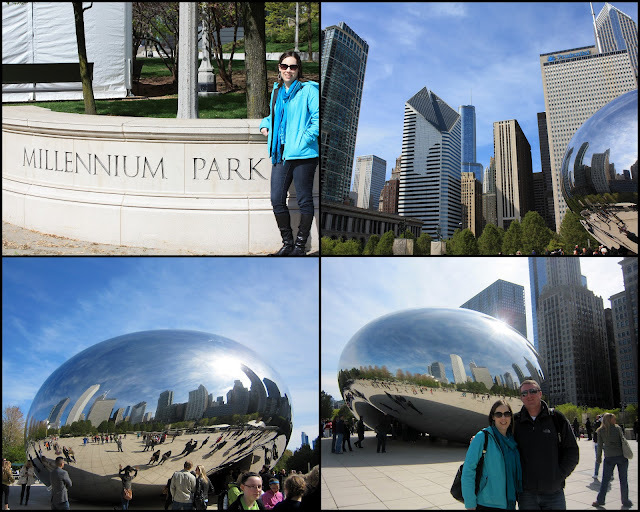 After lunch we went to Millennium Park to see the famous Cloud Gate aka "the bean" as most refer to it. 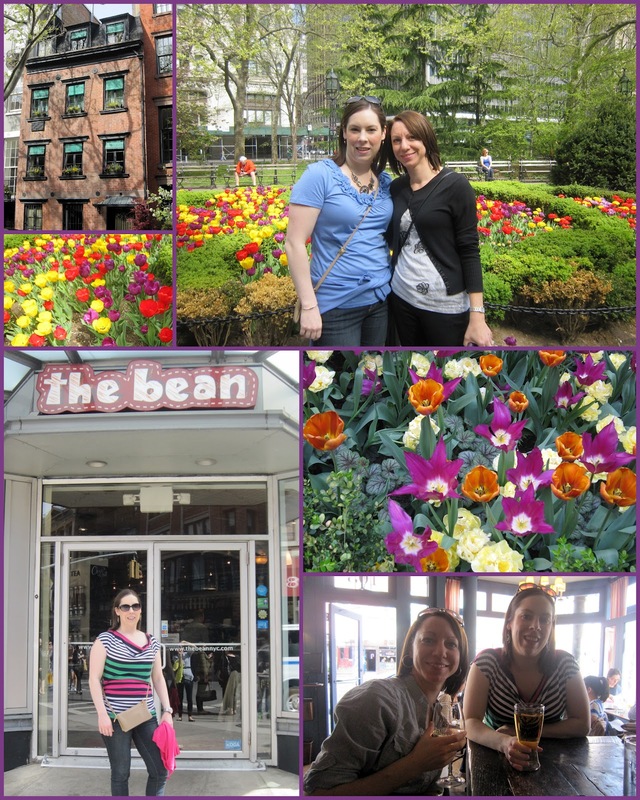 Of course I had to see "the bean" since I'm Jodi Bean! We were fortunate to see the sun during this part of the day and while it was cold it wasn't as cold as the rest of the weekend! We both commented on how any city can build any kind of random statue and people from all over will come and take pictures. It is pretty funny when you think about it. 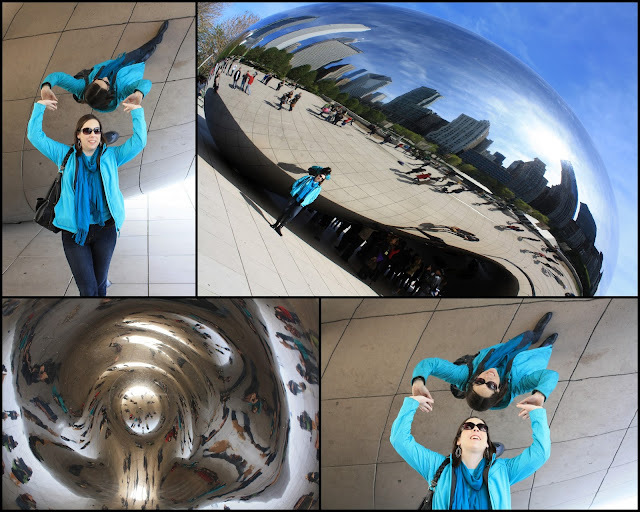 I will say that "the bean" is really cool. It reflects the city skyline which looks really neat. It is a must see if you ever visit Chicago. You can actually walk under "the bean" and take cheesy pictures like this. . . oh look I'm holding up "the bean" ha ha! When you stand under it and look up you see the view that is in the bottom left picture. It looks really cool. Millennium Park has other things to but we mainly checked out "the bean." After visiting "the bean" we walked over to the river for an architecture cruise. This is a very popular thing to do while visiting Chicago and the view from the water is excellent. Mark found 1/2 price tickets the day before on Groupon! That was very lucky. So we did our tour with Wendella but there are several to choose from. Soon after the tour started the sun disappeared behind the clouds and the temperature felt like it dropped 10 degrees! It was cold! I really enjoyed seeing all of the buildings and hearing about them from the tour guide. It was really interesting. Toward the end it got too cold and we had to go inside but other than that I would recommend this. After all of our sightseeing we took a break to relax some before a night out! 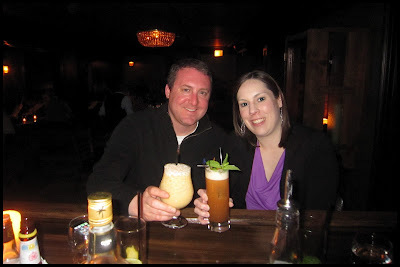 We went to dinner at Mercadito which is a Mexican restaurant. This is not your typically hole-in-the-wall Mexican joint. It is a trendy and upscale version! They serve a lot of small plate meals which was great b/c we were both still pretty full from lunch. And of course we sampled some delicious margaritas. After dinner we went for drinks as Curio which is the downstairs bar at Gilt Bar. It was a really chill atmosphere and I liked it a lot. I had a Pimm's which reminded me of being in England about this time last year. If you are looking for a laid back place to hang out and have a delicious drink made by a mixologist I recommend this place. If you are looking for a more wild time I would recommend our next stop Moe's Cantina! We met up with Mark's sister and friend for a drink and this place is huge with plenty of dancing. We didn't stay too long b/c by this time I was getting tired from our long day of sightseeing. But Mark's sister gives this place 2 thumbs up as I've heard it is her "favorite bar!" So this was Day 1 in Chicago. As you can see we accomplished a lot! Stay tune for Day 2 tomorrow! I'm loving my new Red Sox shirt! Emily and I went to Fenway on Saturday to shop for new gear. I'm going to my first game of the season on Saturday in Chicago!!! Then I have my first home game in May. Hopefully by then the team will be playing a little better as it has been a rough start to the season to say the least. I'm loving my new Stella and Dot jewelry!!!!! 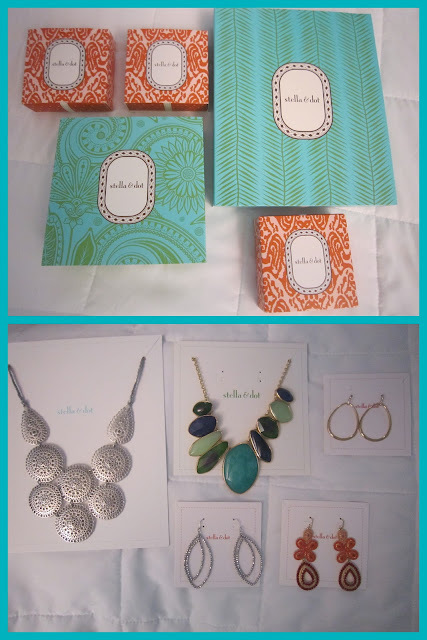 Not only is everything I ordered from my MS fundraiser Sip, See and Shop gorgeous but it came in adorable packages too! This picture just doesn't do my new necklaces and earrings justice. Take my word for it that everything is beautiful. 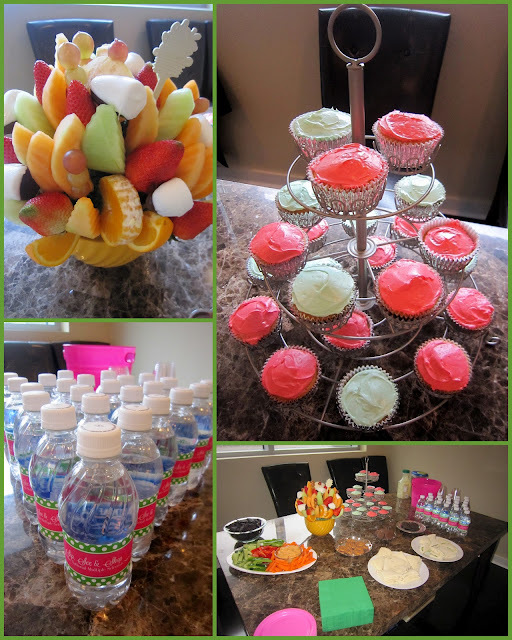 And would you believe that I got all this stuff for around $130 since I hosted a party. If you are interested in having a party (and live in MA) you should contact my cousin, Katelyn. I'm loving that this weekend I'll be on a mini-vacation in Chicago! I'm really looking forward to seeing my friend Mark and I know he'll be a great tour guide for the weekend. Of course the highlight of the weekend will be seeing the Red Sox play the White Sox. 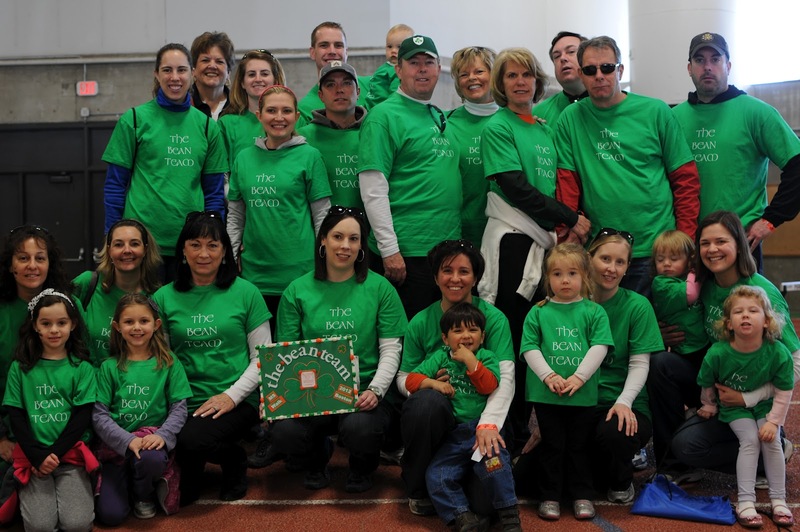 I'm loving that The Bean Team raised $8,182 for the Boston MS Walk! Pretty amazing especially considering that Jenn and I are fundraising for the MS Challenge Walk at the same time. Thank you so much to all of you who have supported The Bean Team and I by donating and/or walking! 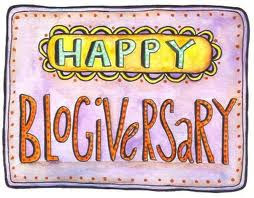 I'm loving that I've been blogging for two years now!!!!! My 2nd Blogiversary was on April 13th but I forgot to blog about it! So I'll be celebrating by doing a giveaway with Wicked Good Cupcakes. More details to come. I really can't believe it has been two years since I started blogging. At times it feels like I've been doing this forever. I was apprehensive when I first took the plunge but I've never looked back. 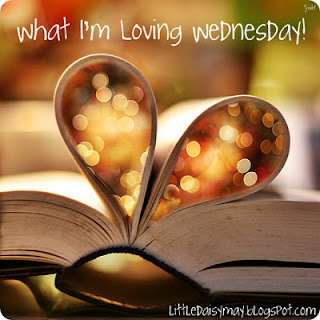 I love blogging for so many reasons but mainly b/c it is a "scrapbook" of my life and I've "met" so many amazing people. Looking forward to many more years of blogging. 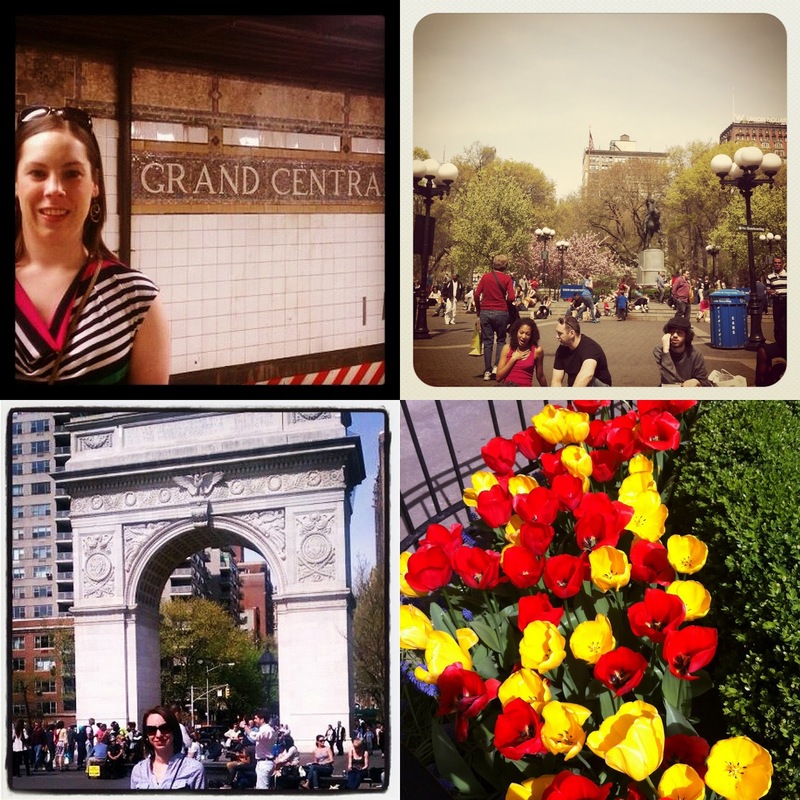 . .
Last weekend I went to NYC for a weekend get together with Marisa. You can read about all the fun we had here. I wanted to do a separate post on visiting The National September 11th Memorial. We started our visit at the Tribute WTC Visitor Center where we picked up our free tickets for the memorial. The Tribute WTC Visitor Center is in a temporary location since it will be moved to the same area as the memorial once the entire project is complete. At the Tribute WTC Visitor Center you can view pictures and mementos from 9/11. Before entering the actual memorial you have to walk through a security area (similar to airport security) which is a stinging reminder of what led to the events of 9/11 in the first place. Once through security you enter into a large open area that looks similar to a park surrounded by many large (under construction) buildings, beautiful landscaping and the two pools. The North Pool and the South Pool are located in the exact spots where the North Tower and South Tower were located. Each pool takes up an acre of space and thirty foot waterfalls, the largest in North America, cascade into the pools, each then descending into a center void. The names of the victims are inscribed in bronze parapets around the pools. The nearly 3,000 names of the victims of the 9/11 and 1993 attacks are arranged based on layers of "meaningful adjacencies" that reflect where the victims were on 9/11 and the relationships they shared with others who were lost that day. This was to honor the requests from victims' families for specific names to be next to one another. To find a name you can visit names.911memorial.org or use an electronic directory located at the memorial. Seeing all of the names around the waterfalls has quite an impact as it seems as if the names go on forever. Just another reminder of just how many lives were lost on that terrible day. While there is much sadness at the memorial there is also much hope. As you look around and see the construction of many new buildings you can help but feel inspired by all of the energy that this area brings. The building in this picture is 1 World Trade Center which at 1,776 feet, will be the tallest building in the United States. The fully developed WTC will include the Memorial and Museum, commercial office space, retail and connections to public transit. The Memorial was designed by architect Michael Arad and landscape architect Peter Walker. The design was selected through an international competition that received 5,201 submissions from 63 countries. May the lives remembered, the deeds recognized, and the spirit reawakened be eternal beacons, which reaffirm respect for life, strengthen our resolve to preserve freedom, and inspire an end to hatred, ignorance, and intolerance. It is hard for me to put my thoughts and feelings into words for this blog post. Visiting this Memorial was surreal. Any other memorial I have had the opportunity to visit is typically from events that happen before I was even alive. So to see this Memorial of an event that happen in my life. . . The events of September 11, 2001 have shaped our lives and impacted us in so many ways. I really wish that this Memorial never had to be built. I wish that 9/11 was not such a common phrase. I wish that people would respect difference. I'm glad I had the opportunity to visit the Memorial and I look forward to seeing it again once it is complete. I'm glad that the victims' families have a place to go too. A place where they can feel close to their loved one. A place where they can see that so many people thing of them, often. *Please note that some text from this blog post is copied from pamphlets received at the Tribute WTC Visitor Center. 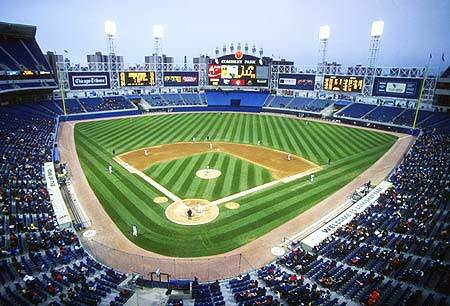 The ballpark was constructed for the 1912 season and was named by then Red Sox owner John I. Taylor. He said, "It's in the Fenway section of Boston, isn't it? Then call it Fenway Park." It was also Taylor who changed the club's name from Americans to Red Sox prior to the 1908 season. If you live in Boston chances are you've been to Fenway Park. For those of you in other states it is well worth a trip to Boston to visit Fenway. I love going to games at Fenway Park and make sure to get to several each season. I've been to several other ball parks across the US and yes they are new and improved (and nice) but there is something so special about Fenway. . . nothing can beat the history in Fenway. In honor of Fenway Park's 100 Birthday today I thought I would share some "Fenway Facts" with you for your reading pleasure. Fenway Park is the oldest Major League baseball stadium currently in use and one of two "classic" ballparks still in use (the other being Wrigley Field). Since May 15, 2003 every home Red Sox game has sold out. In 2008 the park sold out its 456th consecutive Red Sox game breaking a Major League baseball record. The lone red seat in the right field bleachers (Section 42, Row 37, Seat 21) signifies the longest home run ever hit at Fenway. The Ted Williams hit on June 9, 1946 was officially measured at 502 feet—well beyond "Williamsburg". According to Hit Tracker Online, the ball, if unobstructed, would have flown 520 to 535 feet. The scoreboard on the Green Monster is still manually updated throughout the game today. 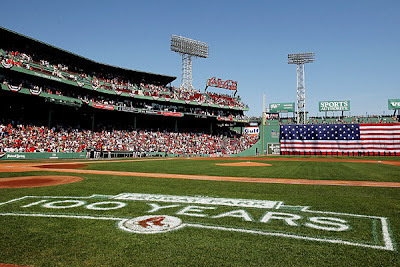 If you would like to read even more fun facts about Fenway Park go here. (Notice that I did not mention anything about my beloved baseball team in this post. Yes this was on purpose. Not such a great ending to the 2011 season and not such a great start to the 2012 season. Keeping the faith for better things to come)! I arrived at Port Authority at noon on Saturday and Marisa had arrived at Penn Station a few minutes before me so she walked over to meet up with me. We walked to our hotel on 42nd street and made a stop in Bryant Park to eat lunch. It felt so good to sit outside and soak up the sun! This weekend I met my college friend Marisa in New York City for a birthday celebration weekend. My birthday was in March and Marisa's is in May so we figured it would be great to meet up in the middle to celebrate. Marisa and I met during freshman orientation at Elon and have been friends ever since. We don't get to see each other nearly enough so it was really nice to have 2 whole days to hang out! We didn't do much of anything. . . except for walking ALL.OVER.THE.CITY and eating A.LOT.OF.YUMMY.FOOD. It was very relaxing. The tulips are in full bloom all over the city and look beautiful. Add that to the amazing weather and it all adds up to a very good weekend. We enjoyed a nice dinner out and then went to a nice bar for a martini. Afterwards we ended up walking all Times Square for a little while. NYC sure is the city that never sleeps. It is so bright in Times Square that it doesn't even feel like it is late. That and the fact that there are millions of people everywhere and all the stores are open! Sopping at 11:00 PM. . . that's my kind of city! Ha! Oh and by the way, The Naked Cowboy really does exist. I saw him with my very own eyes. On Sunday morning we got up early (well early for me but actually late for Marisa since she has two kids under 4) and we walked the Brooklyn Bridge. I've wanted to do this for a while now and I was glad that Marisa had never done it despite being to NYC more often than me. The weather was gorgeous and it was perfect for being outside and taking pictures. We were amazed at just how many people were doing the same thing as us. Quite the attraction. 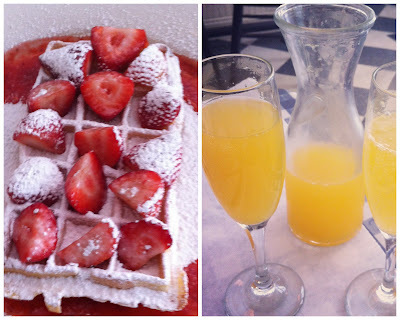 Following our walk we went to brunch and enjoyed some delicious mimosas. 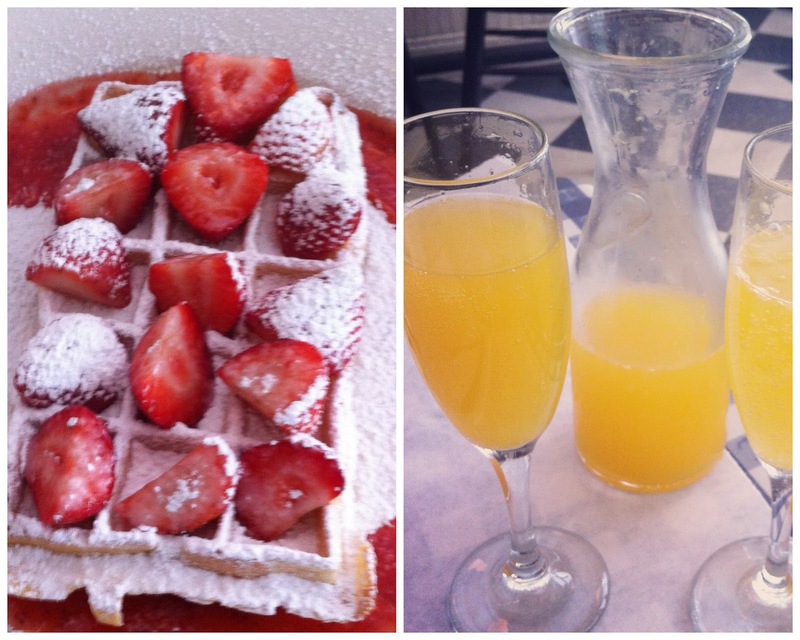 Brunch wouldn't be brunch without mimosa! I had an awesome waffle with fresh strawberries. It was so good but much too small. I wanted more! After brunch we walked over to the World Trade Center area and visited the September 11th Memorial. I will share more about that in a post tomorrow. The rest of the afternoon we did more of what we do best. . . EAT! We were too tired to do anymore walking so we took a subway back to our hotel and had a slice of pizza before checking out. We then took a cab to one of my most favorite places on earth. . . PINKBERRY. Would you believe that not only had Marisa never been but she had never heard of it. I had to rectify that situation fast and she of course loved it as much as I did! It was a great mini-vacation. I had such a nice time walking around the city and was so thankful that Marisa new her way around. She was a great tour guide. 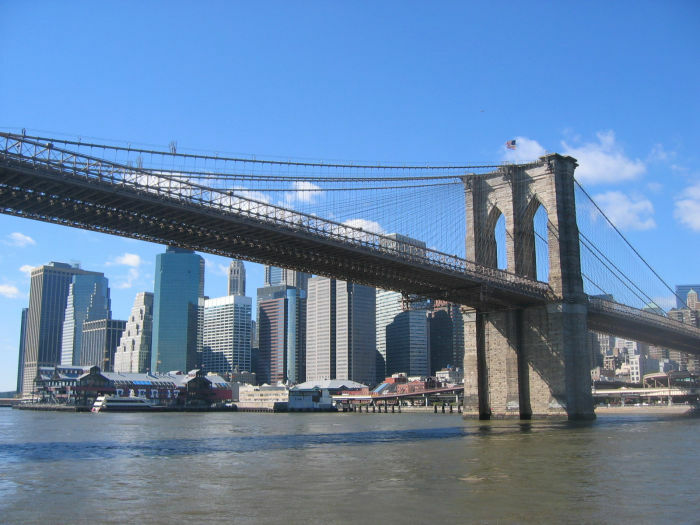 NYC is so close to Boston and I want to take advantage of that and go more often. 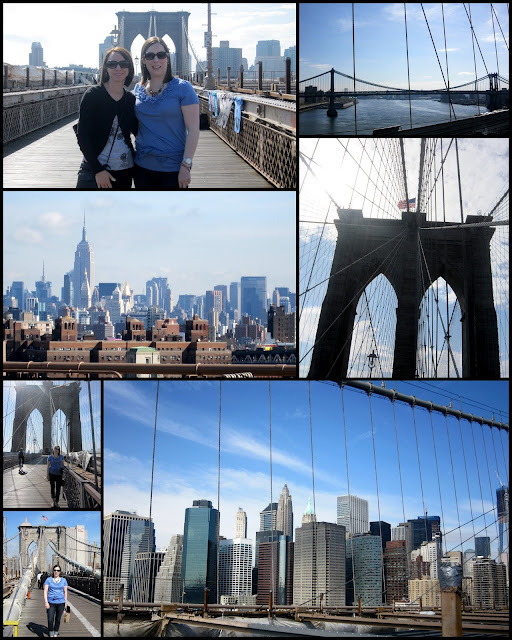 It is such a great city (with the Yankees being the only exception)! I suggested to Marisa that we make this an annual event! Thursday night was my MS Fundraiser for the MS Challenge Walk. In September I will walk 50 miles in 3 days for MS. This will be my first time to ever walk this far. I'll be walking along side my sister-in-law Jenn who walked it last year. My mom will once again be on the crew and cheering us in each day! We are required to raise at least $1,500 to participate but I'm hoping to raise much more. This is just one of many ways in which I'm raising money for the event. I had a MS info table set up at the event. 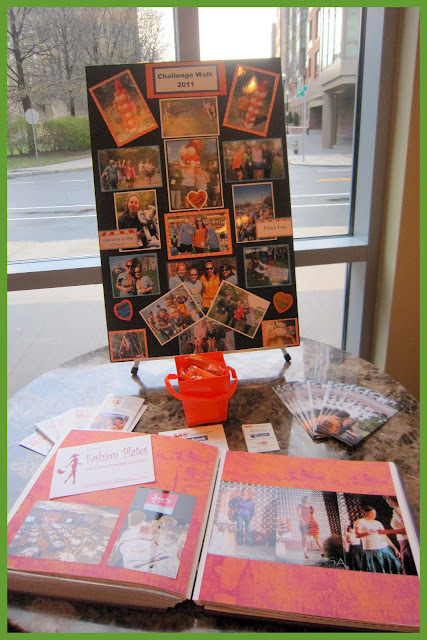 I also had my brand new "My Journey With MS" Scrapbook on display. I made this when Stacy was visiting and we went to Crop on the Cape. It is basically every event I've participated in since I was diagnosed with MS. 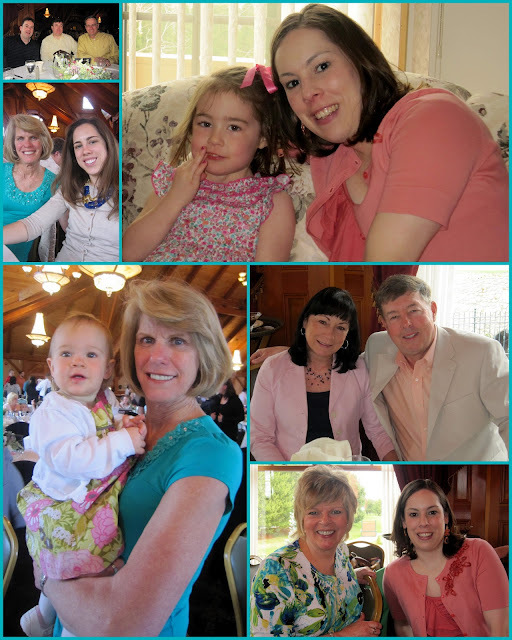 It is the highlights so just a few pictures from each event. I love the way it came out and think it will also be a great visual to use at fundraisers. We had plenty of delicious treats. Katelyn won my blog contest sponsored by Edible Arrangements and gave it to me to use at the event. It was delicious! Amanda made delicious tea sandwiches and cupcakes - pink and green of course! I was in charge of the gluten free appetizer for our gluten free friends! My cousin Katelyn is a Stella and Dot stylist and agreed to donate 50% of her commission to my fundraising. Very generous! People got to try on all the jewelry and decide what they wanted to buy! I'll show you what I got once it comes in. I can't wait. Love it ALL! Amanda from Sweet Tea Paperie was really the inspiration behind this entire event. 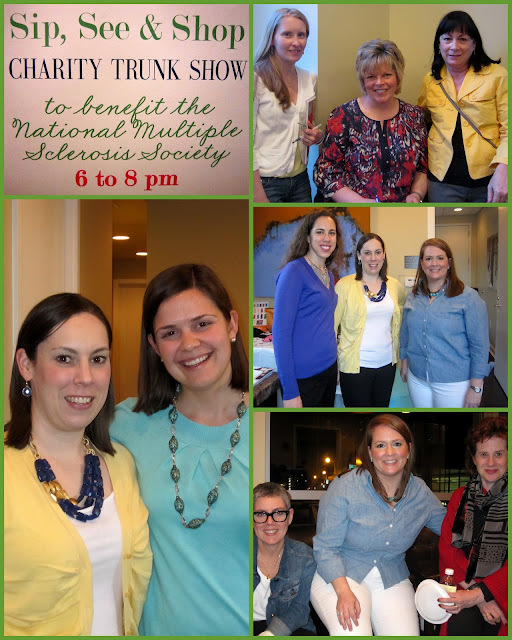 Several months ago we were having dinner together and an idea for a "trunk show fundraiser" was brought up and we made it happen! Amanda generously agreed to donate 25% of sales from the entire day (both at the event and online) to my fundraising for MS! I'll be sure to show you a picture of what I got when it comes in. 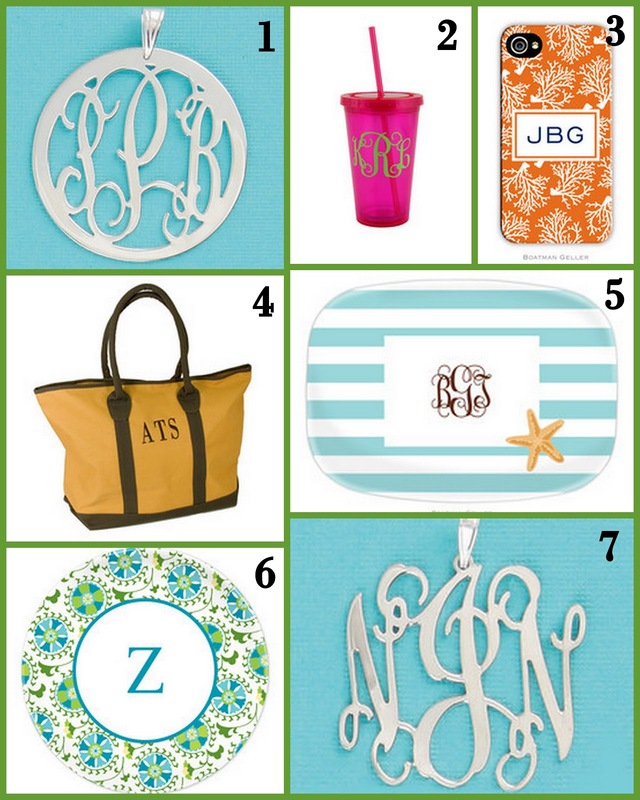 Sweet Tea Paperie has the cutest stuff and if you like monogrammed items you will love this site! Several family members and friends dropped by to show their support. I'm very appreciative of everyone who came and to all of you who shopped online too! Thanks to all the ladies who blogged about the event to spread the news. I would say it was a GREAT SUCCESS! This event raised $304 for MS! AMAZING! Katelyn and Amanda - THANK YOU BOTH SO MUCH! I really appreciate you doing this event with me and donating to MS! TGIF! This has been a long week for me between having the norovirus and last minute preparation for Sip, See and Shop and everything else that comes along with day to day life! So I'm pretty happy it is Friday. 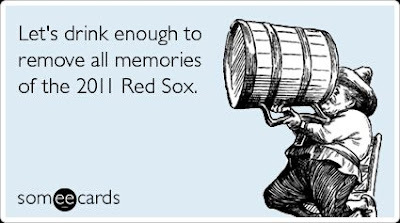 And even happier that the Red Sox home opener is today! Welcome back boys! I'm excited for baseball season and hopefully that this team will be better than last year! Here's hoping for a great baseball season. I go to my first game in two weeks in Chicago and I'm SO excited. I'll go to my first home game in May. 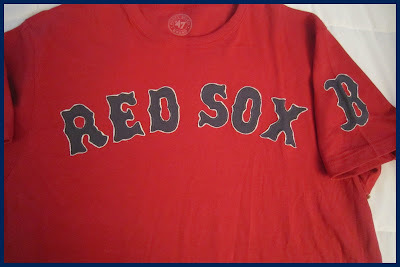 I think a new long sleeve Red Sox shirt is needed prior to my Chicago trip. Sip, See and Shop was last night and it was great! I can't wait to share a full recap with pictures and fundraising totals. . . but you'll have to wait until next week. 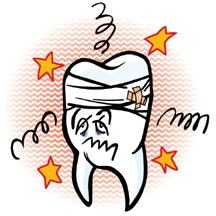 On another note I went back to the dentist today due to this ongoing tooth pain I'm having and after examination she said it is not an issue with the tooth. Good news right?! I guess. Now I need to follow up with my ENT doctor. Stupid sinuses are causing me a lot of trouble this spring. I've already had a sinus infection in March and I'm really tired of being woken up in the middle of the night from tooth pain (or sinus pain). So I guess it will be ANOTHER doctor apt because ya know I don't have enough already right. Ha! Tonight after work I'll be packing up for my early morning departure to NYC! I am so excited to meet up with Marisa for 48 hours of girly/tourist fun! 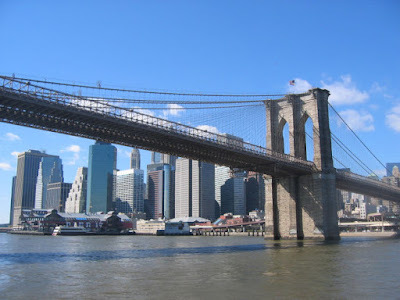 We plan to walk the Brooklyn Bridge which is something I've really wanted to do so I'm excited about checking out things I haven't seen/done before in NYC. I hope everyone has a great weekend. NYC is going to be sunny and warm! Today is the big day! 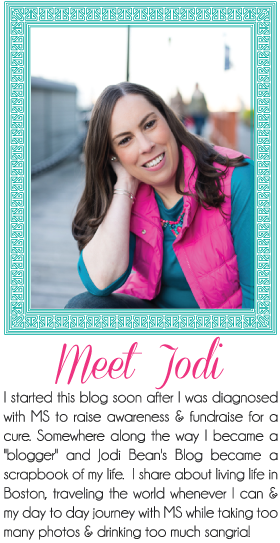 I'm so excited and can't wait until 6 PM for our fun party which will benefit MS. For those of you outside of the Boston area you can still be involved! You can shop ALL DAY today at Stella and Dot (be sure to use this link and enter Jodi as hostess at checkout) and Sweet Tea Paperie and a donation will be made to the National MS Society! Awesome right?! Thank you so much to all of you who have shared about this event on your blogs and twitter. I REALLY appreciate it. Thanks to all of you who have already shopped. What did you buy? Leave me a comment and let me know!! Tomorrow is the big event! Who doesn't love to shop for a great cause! All day tomorrow you can shop Stella and Dot and Sweet Tea Paperie and a donation will be made to me for my fundraising for the MS Challenge Walk where I will walk 50 miles in 3 days! 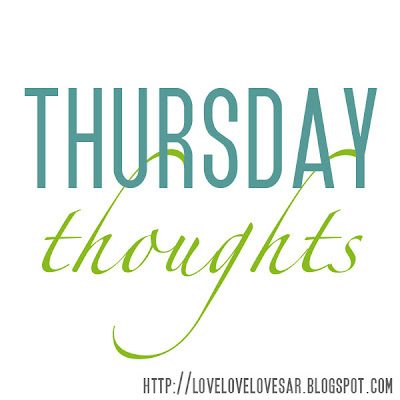 Will you help spread the word on your blog by posting the above button? I would really appreciate it! 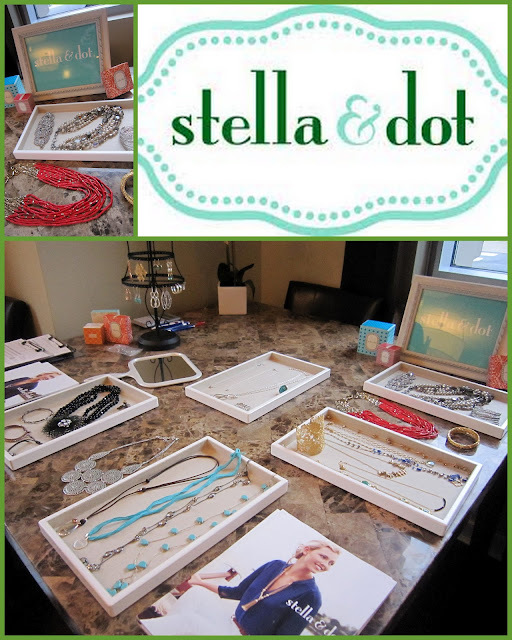 To shop Stella and Dot go to this link and enter my name, Jodi , as hostess when you checkout. Katelyn will donate 50% of her commission to MS.
To shop Sweet Tea Paperie go to this link. Shop all day tomorrow and Amanda will donate 25% of each purchase to MS! To see some of my favorite items go to this post. Special thanks to Everything Fitabulous for posting about this event. Special thanks to Preppy Girl Meets World for also posting about this event. I don't know of these bloggers but am thankful for their help in spreading the word and I look forward to reading their blogs now! On another note. . . the Norovirus is as bad as everyone says. I know b/c I had it yesterday. It was THE WORST! I ended up in the ER getting 2 bags of fluids and felt a little better after that. After a good night sleep I'm feeling more human today. I had saltines and ginger ale for breakfast and so far so good. I'll spare you the details of yesterday. Ugh! I really thought I had avoided it during all these months of it going around work but I guess now. Just hoping nobody else in my family gets it since we were all together on Easter! On the agenda for today is rest! I need to get all my energy back for the fundraiser tomorrow night and NYC this weekend. Just glad I got sick when I did (right after Easter and right before my event and NYC). I wouldn't have wanted to miss any of these things. Really hoping to see many of my local friends tomorrow night. It is going to be a lot of fun! For those of you not in this area - SHOP ONLINE!!!! Did you have a nice Easter? We sure did. We went to a buffet brunch which means lots of bacon! I think I ate enough bacon to last me a year. Oh and waffles. I ate a few of those too. Not gonna lie I was pretty full afterwards. . . but everything was SO good. We enjoyed some mimosas too! Yum! After stuffing ourselves at brunch we went back to my aunt's house to nap hang out some more. It wouldn't be Easter without the traditional Easter egg hung. I've (I mean the Easter Bunny) hid eggs for the girls every year and this year Laney got to join in too. It is so fun to watch them run around the yard finding the eggs. 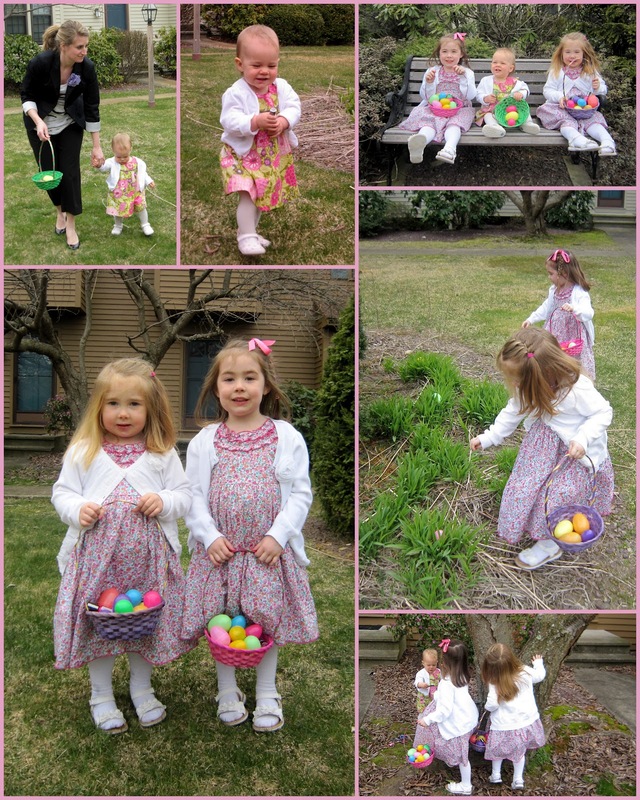 Last year I remember they would find an egg and stop to see what was in it. This year they were all about getting as many eggs as they could! Ha! Oh and the Easter Bunny even left them some nail polish in that tree. It was a BIG hit! I really wish the day after Easter was a day off from work! It was really hard to get out of bed this morning and drag myself to work. 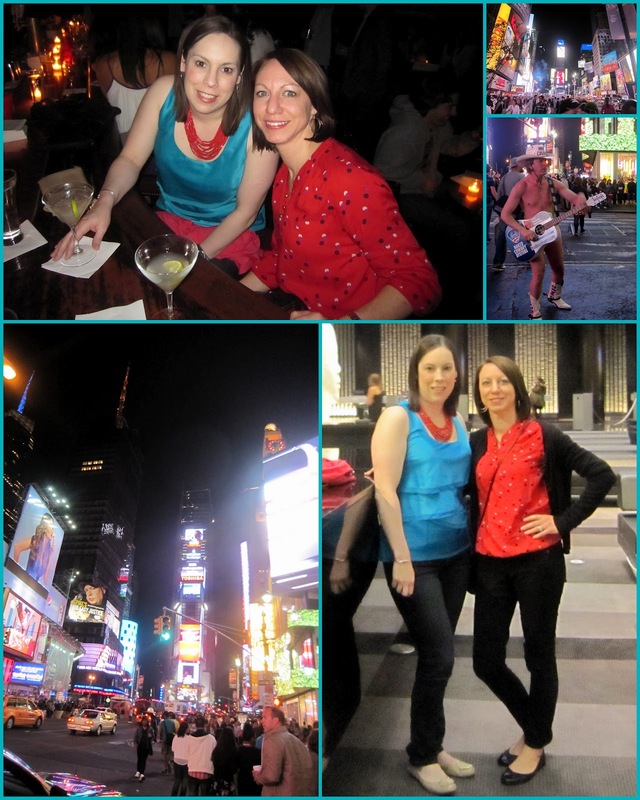 Here's hoping the week flys by b/c Sat I go to NYC to meet up w/ my friend Marisa to celebrate our birthdays (yes my birthday was in March and I'm dragging out the celebrating for as long as possible)!! Sip, See and Shop is less than a week away! I'm getting excited for my next MS Fundraiser. 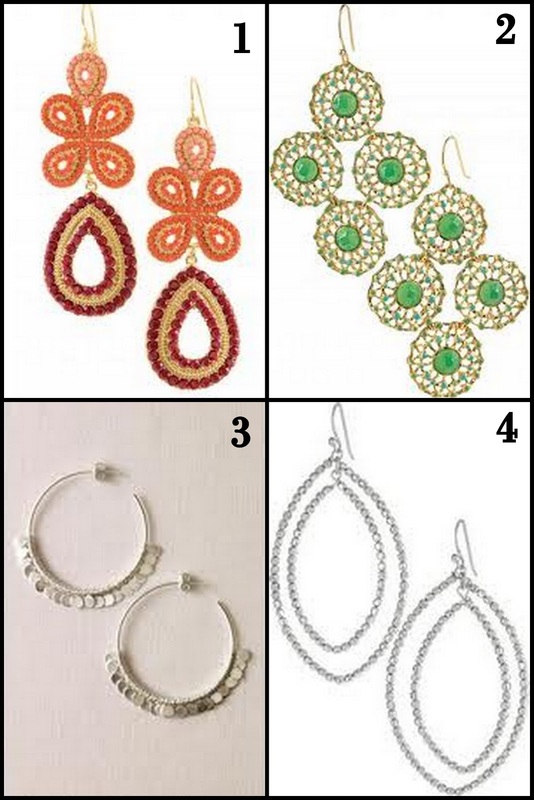 Today I thought I would show you a few of my favorite things from Stella and Dot and Sweet Tea Paperie. 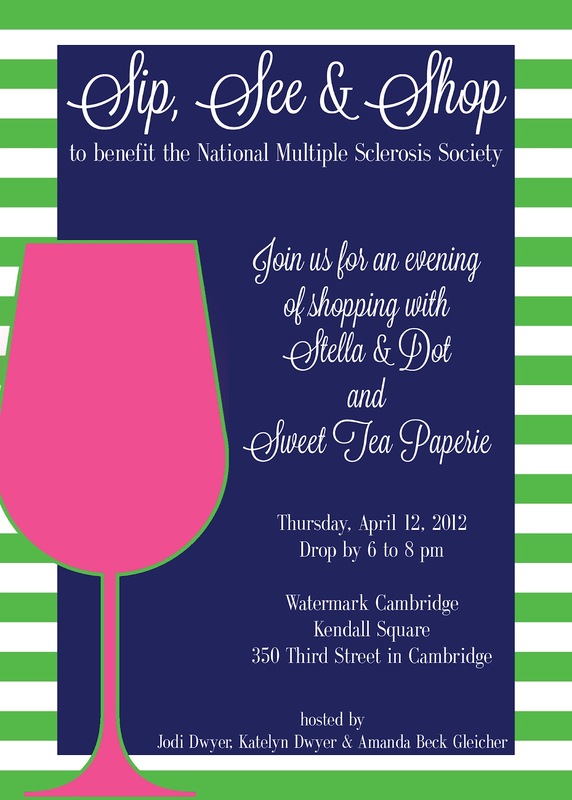 You can shop now at Stella and Dot and a portion of your purchase will be donated to MS. You can shop all day on Thursday, April 12th at Sweet Tea Paperie and a donation will be made to MS. Win win!! You get something adorable and I raise more money for MS! With Mother's Day, graduations, and wedding season coming up I think a lot of people could take advantage of shopping online for some great gifts! I borrowed this necklace from Katelyn and wore it to work one day. I LOVE it. I got so many compliments about it throughout the day. It is a great statement piece that can be worn with so many different things since it is silver. I have had my eye on this necklace ever since it first came out. I have not seen it in person yet but I just love the colors and know I will love it in person. I plan to buy it at my fundraiser. I also borrowed this necklace from Katelyn and wore it to work one day. I wore it with a white tank and reddish cardigan and it looked really nice. I got so many compliments about the necklace and plan to wear it once more before returning it to Katelyn! I think this necklace is just awesome! I haven't seen it in person but think it would be stunning with so many different outfits. I just love it. I borrowed these earrings from Katelyn and wore them to work the other day. I wore them with an orange top and they looked great together. The earrings are noticeable and several people told me they liked them. They also come in a light blue/gold color combo and I think I would really get a lot of use out of those. I love these earrings. I love green! They are so pretty and I think they would really dress up a casual outfit. I love these earrings too. I like that they are basic with a little flare. I might just have to buy them. They come in 2 sizes and gold too. I borrowed these earrings from Katelyn too and I LOVE them. I've worn them twice and think they look better on then in the picture. They really catch the light and move nicely t give a sort of sparkle! 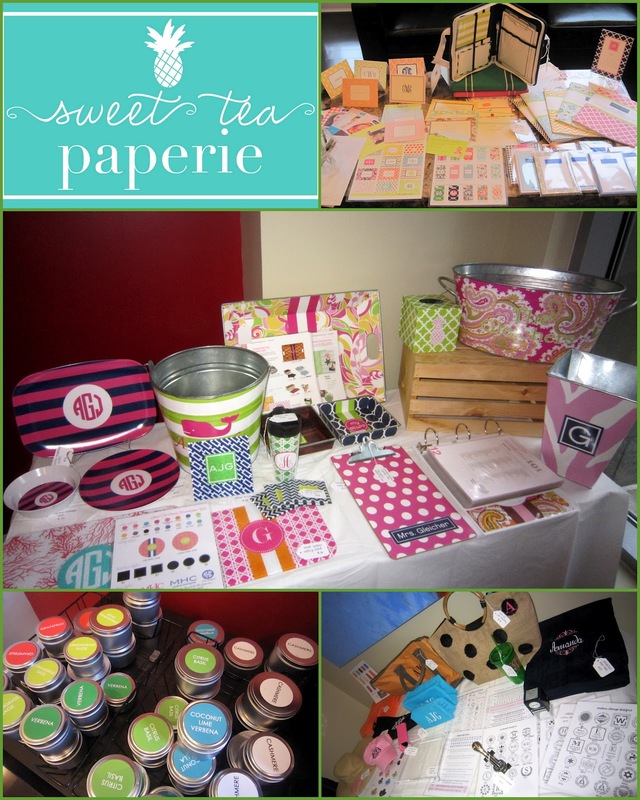 I LOVE everything on the Sweet Tea Paperie website. I'll just take one of each! Ha! If you like personalized items you will love Sweet Tea Paperie. 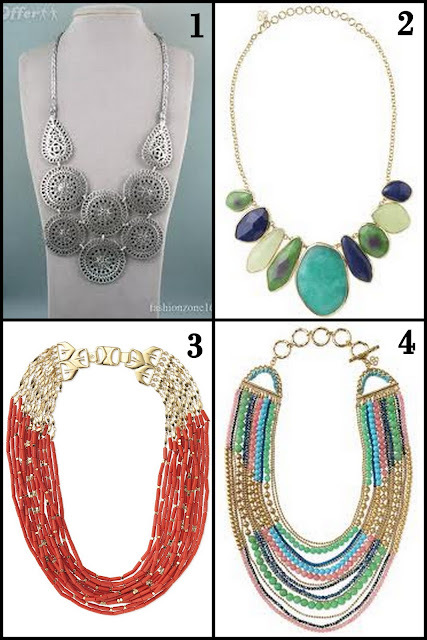 Listed below are a few of my favorites! I'm really looking forward to the event next Thursday and hope to see many of you there!